Lauren Robertson, a rising junior at Wake Forest University, conquered not only climbing Table Mountain but also abseiling right back down. Read about how she learned the value of being present in the moment and taking it all in! When I went abseiling no one in my group knew what it was. We thought it would be easy. However, we were in for a big surprise when they harnessed us in and we realized we would be walking down the side of table mountain. It was a wonderful experience, but there are a few things they don’t tell you about abseiling that are essential to making the best out of it. 1. It requires you to use almost every muscle in your body. So, if you are like me and have no muscles it can be painful. 2. When you look down your fear of falling goes from a 10 to a 10,000. 3. You are trusting that a harness and some rope will hold all of your weight as you walk down the side of a mountain!! 4. Now, completely forget numbers 1-3. 5. Trust the harness and rope. They are built to hold tons of pounds and the guides are so nice and know what they are doing! 6. Ignore the pain. You will already be sore from the hike up table mountain, so the few minutes it takes you to abseil down will not be that bad. 7. Jump!! Do as many jumps as you can they are so much fun and liberating. 8. Put all of your attention into enjoying the experience. Allow yourself to look down right, left and even turn your head around. 9. 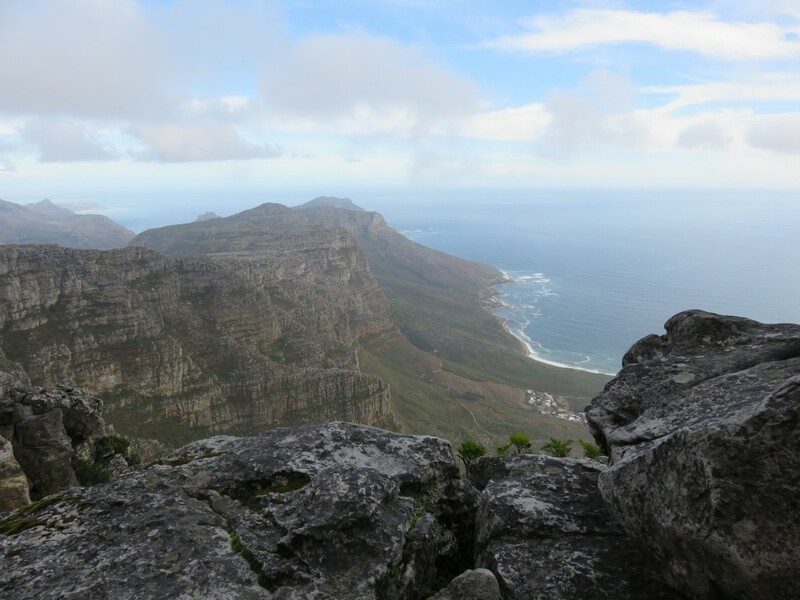 Table mountain is the highest commercial abseil in the world, so accomplishing this comes with massive bragging rights. 10. The view is incredible and it is a peaceful experience if you allow yourself to enjoy it. So before you go down take a deep breath and live in the moment. Don’t take the view and experience for granted; it’s a once in a life time experience. I highly recommend you do it!